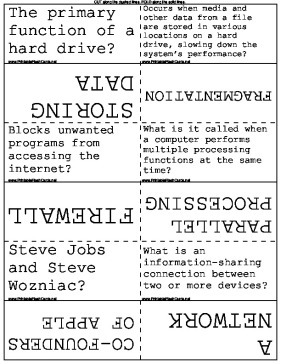 Technology experts and computer programmers will enjoy these software and history flash cards. What is true of a VIRUS but not a TROJAN HORSE? IT CAN BE TRANSFERRED FROM ONE COMPUTER TO ANOTHER.